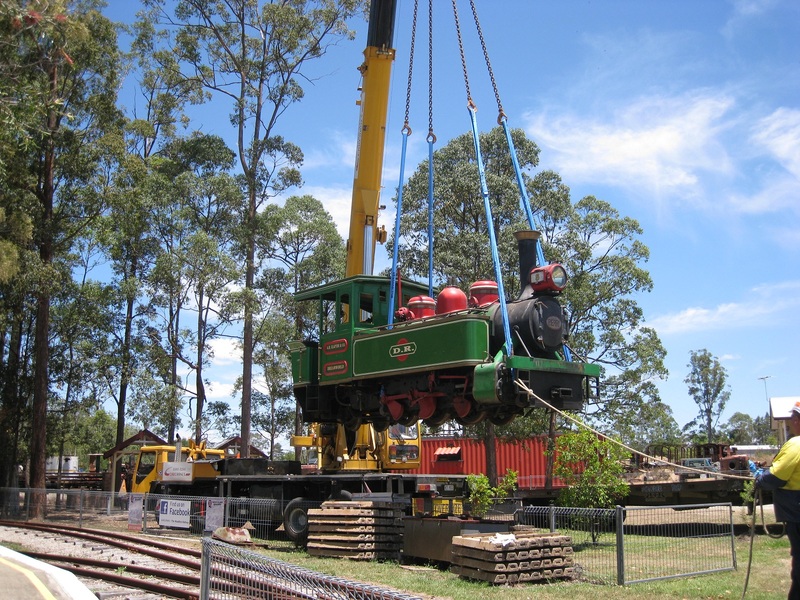 I am excited to be able to announce that today, Thursday 6th November 2014, ANGRMS took delivery of the Perry steam locomotive and a surplus wagon from Dreamworld. 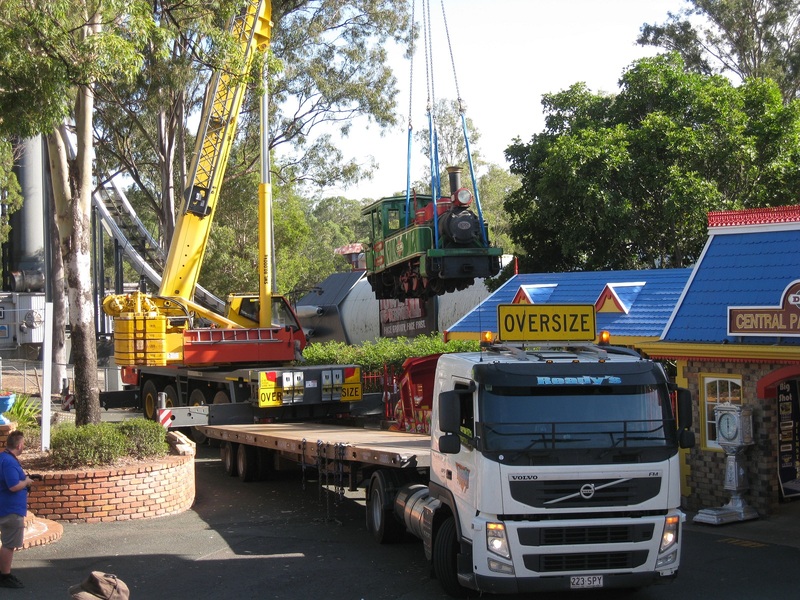 It is a great credit to all involved in ANGRMS that Dreamworld chose to donate this locomotive and wagon to ANGRMS. The loco needs a bit of work and we are still to undertake a detailed assessment. At this stage the tentative plan is to have it operational about April/May next year (as well as the physical work there is also a lot work to accredit the loco, do driver training etc). Once Melbourne is operational again it will drop back to standby loco. 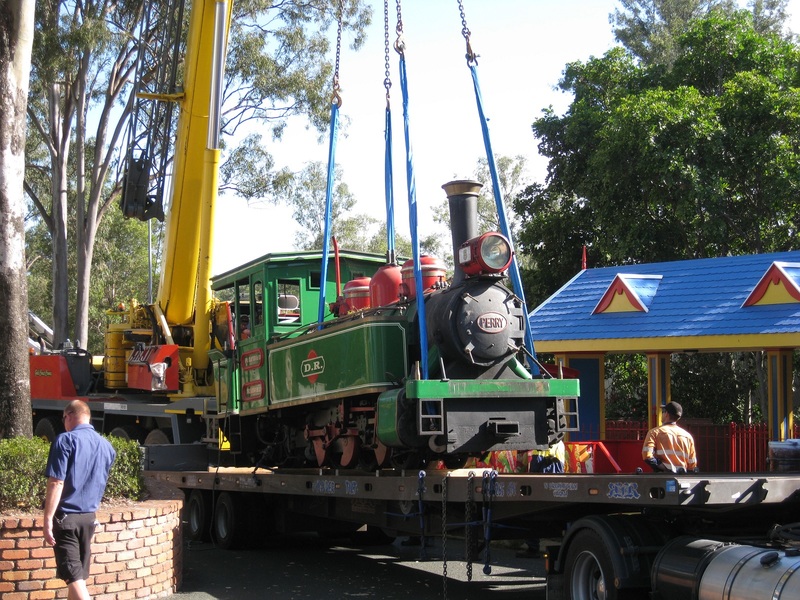 When Bundy and Melbourne are both back in operation, the loco can then commence a full overhaul. 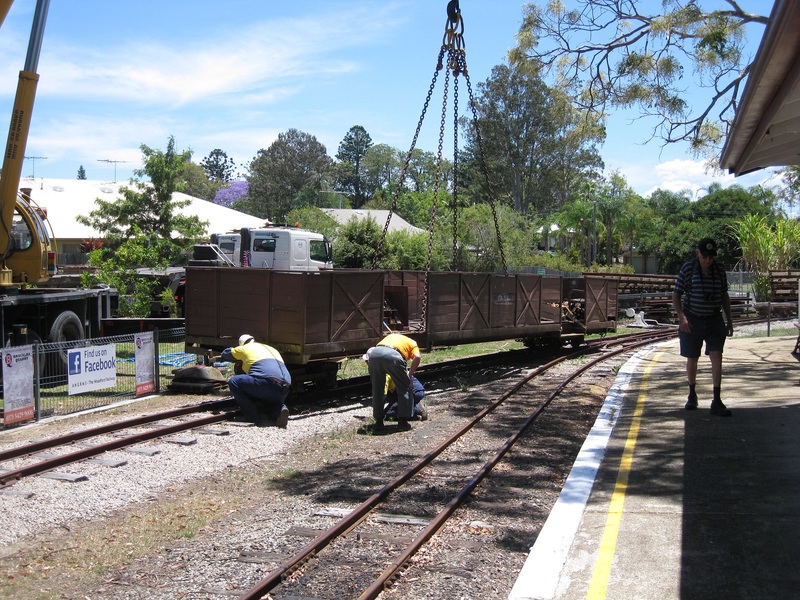 This additional operational steam loco will allow us to much better manage our operation steam loco assets. 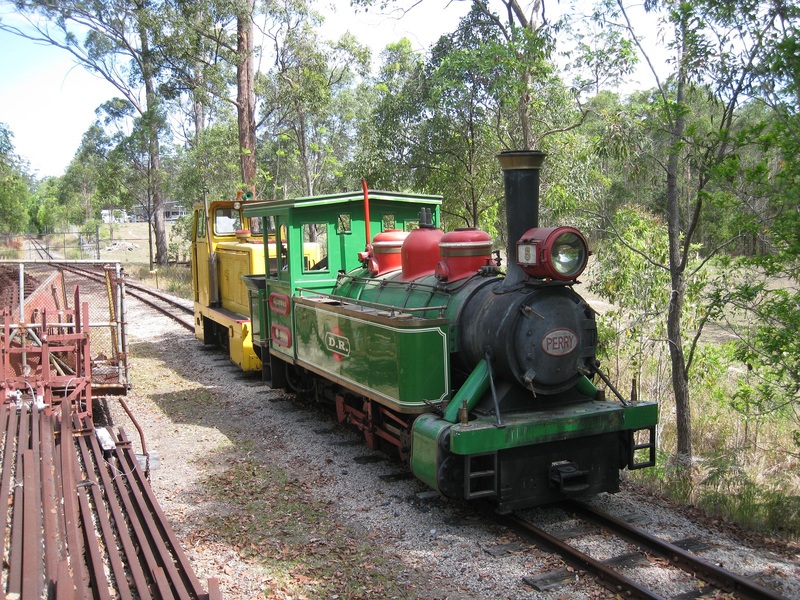 This 16t steam loco was built in 1951 by the Perry Engineering Company, Mile End, South Australia for the Bingera Sugar Mill near Bundaberg. 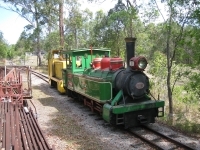 In 1974, after its career hauling sugar cane came to an end, it was saved for preservation at the Goulburn Museum of Historic Engines near Goulburn NSW. It was purchased privately in 1977 and moved to Panania in NSW. 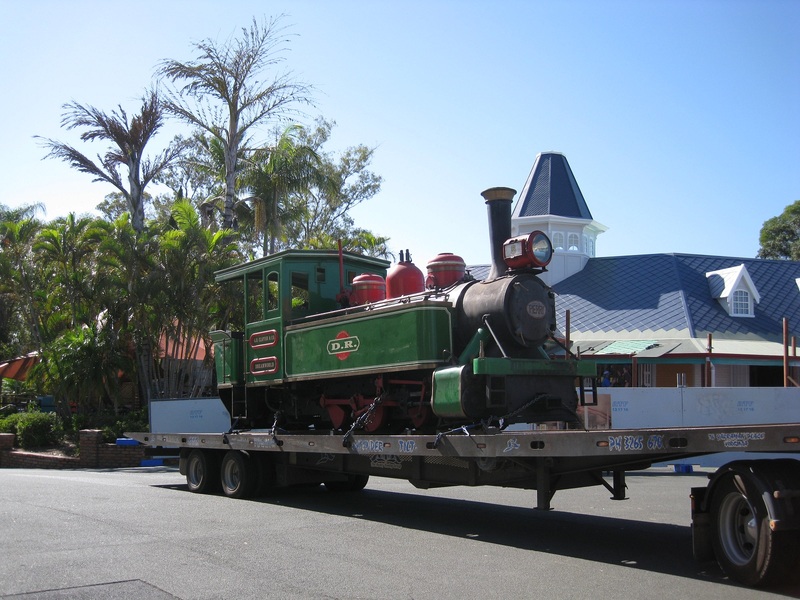 In 1982 it was purchased by Dreamworld on the Gold Coast for their railway. 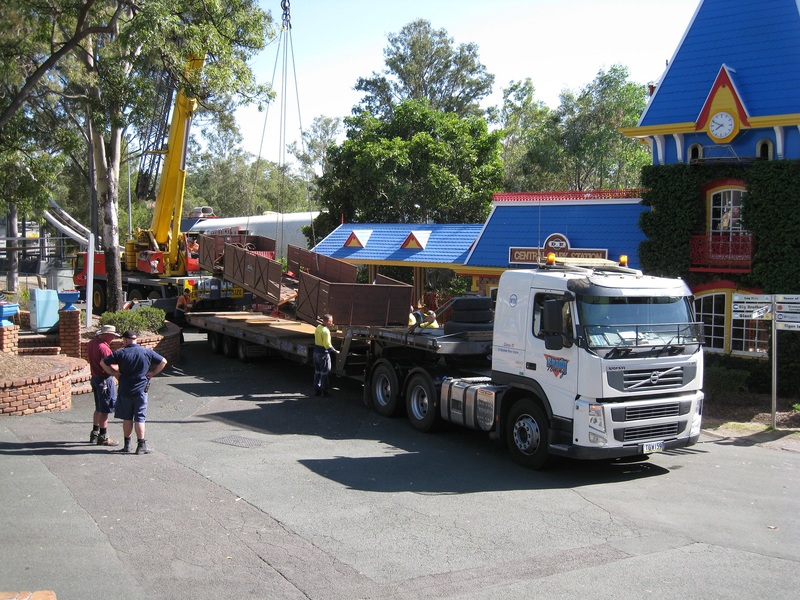 It operated at Dreamworld until 2013 when it was stored. 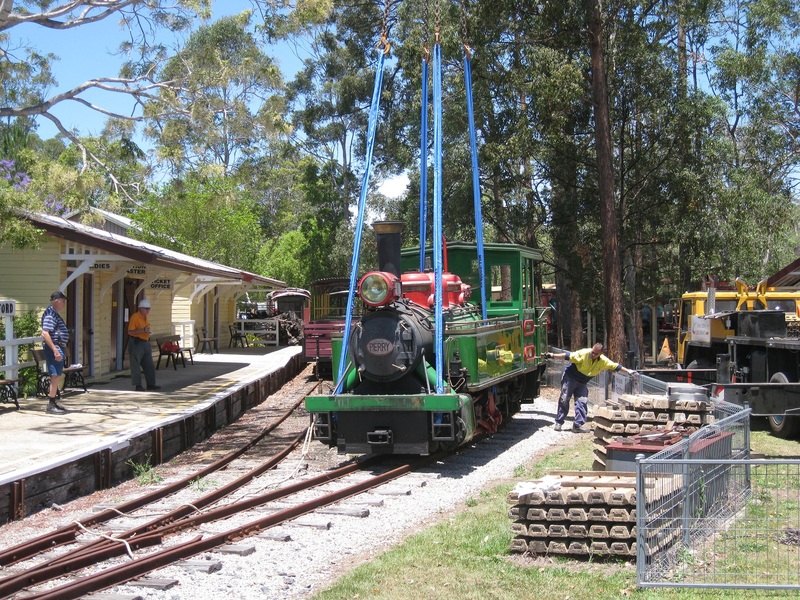 This year it was donated to ANGRMS for use on our Woodford Railway.